[TX] Freeport knows ex-Bryan Police Chief Tyrone Morrow's history and still want him for top cop. "It was a personal thing." 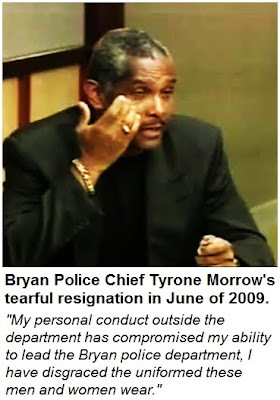 [TX] The clock is ticking down on Police Chief Tyrone Morrow's "private matter" - "...According to the Civil Service code, a city has to take action, if any, against someone within six months of an incident, and we're about three weeks from that point..." [Morrow's wife] "I am fearful that nothing will be done due to my husbands previous standing within our community. I have separated and filed for divorce... I bring this forward as an opportunity to share with you the extreme distress my family suffered for an extended period of time." Bryan Police Chief Ty Morrow announced his resignation Monday afternoon at a press conference. How much violence is okay? When people start "falling" into walls, on to the floor, or across furniture in an angry situation there is some percentage of a chance of even an unintentional death - an abrupt hit to the head.. What percentage of the chance of accidental death is too high? 50%? 10%? 1%? 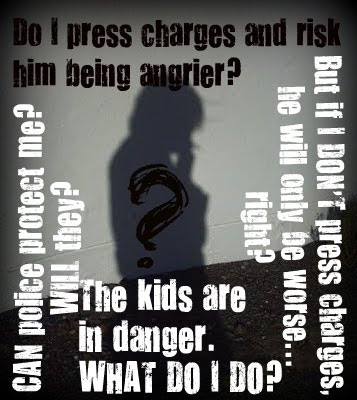 No violence is okay - but the percentage question helped me to make a decision to be safe - NO percentage was okay. I'm just sharing that in case it impacts someone like it did me. [Excerpt] Bryan Police Sgt. Brett Boswell was placed on administrative leave early Friday morning following his arrest for Family Violence by the Bryan Police Department. Both an internal investigation and criminal investigation are being conducted at this time. Sgt. Boswell has been employed by the Bryan Police Department for just over 13 years. A Bryan police sergeant has been placed on leave after his arrest early Friday morning, a day after his wife had filed for divorce. The police came when she called, they took Officer Petrone into protective custody which was the best thing to do, they investigated on scene by asking questions and believed what they were told by family members. I am thankful for their response. I believe Officer Petrone's wife that this was out of character, and yet think how it only takes once. I can only hang my head when thinking of the families that are no more. I believe police officers should never get drunk. Their weapon is too central to their everyday lives, like a third arm. I can't say out loud everything I'm thinking, but I'm adding this family to my prayers. I dont' know what this is. Just keeping an eye on it. January 27, 2010, 7:16 p.m.
[Excerpts] ...In a separate incident, a Los Angeles County sheriff's deputy on medical leave got into a fight near a Highland Park bar and was stabbed... In the second off-duty incident, which occurred about 1:20 a.m. Wednesday at Figueroa Street and Avenue 59, an unidentified female sheriff's deputy and another woman got into a fight in a parking lot near the Little Cave bar. The fight grew to involve other people and the deputy was allegedly stabbed by a male companion of the woman she had been fighting. A male friend of the deputy then allegedly shot the man, LAPD Capt. Bill Murphy said. Both men were arrested, Murphy said. The deputy, who was not arrested, is in stable condition. 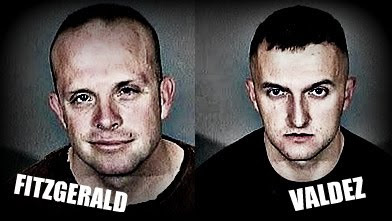 Los Angeles Police "Elite" Officers/Assault Suspects Patrick Fitzgerald and Brandon Valdez belong to one of LAPD's special Metropolitan Division field platoons assigned to handle blatantly violent crime areas. Argument with girlfriend escalated to attack on bystander, who was beaten by officers, officials say. Two men are charged in a brawl that began with a fight between female deputy and another woman. The relationship that Former Pitt County Sheriffs Department lieutenant Michelle Pollard has with this blog is not her current obstruction case - in which she was found guilty today. It is her having two completely different stories to explain the death of her husband Stacey Pollard. The website for her husband - a voice for him, is here: justice4stacey.com. 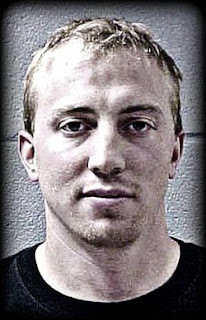 ...Lewis already is scheduled to go on trial next month on charges stemming from an earlier drunken-driving arrest. He also pleaded not guilty to a 10-count indictment last month charging him with eavesdropping, stalking, aggravated harassment, computer trespass, computer tampering and tampering with a witness - accused of using a former girlfriend's computer to hack into his ex-wife's e-mail accounts. - First Lewis was accused then acquitted of grabbing and pushing his now ex wife. - The judge issued a protection order which Lewis allegedly violated. That charge was dropped. - Arrested again for allegedly threatening to KILL his ex-wife. - Then charged with driving drunk and hitting a parked car. - Charged with destroying a kitchen table while fighting with his brother. 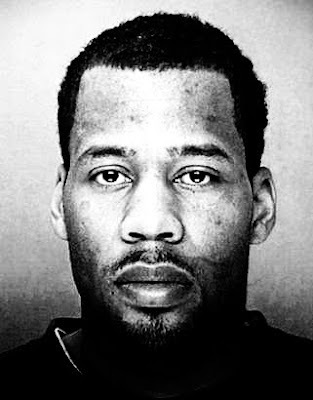 - In December Lewis made headlines back to back, pleading not guilty to a 10-count indictment and then the next day being stabbed in the chest during a domestic with his new girlfriend. - He's facing 3 new charges from the latest incident: driving without a license, driving drunk, and leaving the scene of an accident. - Now he is being held without bail, but whether he keeps or loses his job is ultimately up to the arbitration process. - In 1998 when the city tried to fire Lewis, through arbitration he was ordered reinstated. 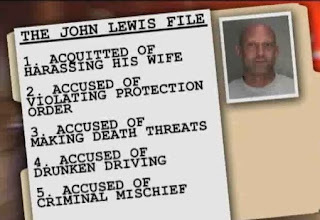 - Now Lewis awaits arbitration again, at least one criminal trial, and the outcome of his own lawsuit alleging his ex wife and the police department conspired against him to get him fired. Schenectady Police Spokesperson Eric Clifford issued a news release indicating that there would be no comment on when or where Lewis was arrested last night. We also tried to reach attorneys for Officer John Lewis and the police union (unsuccessfully). Given the allegations against Lewis you might be wondering why he still has a job tonight. The city's position is that a certain law gives Public Safety Commissioner Wayne Bennett the power to single-handedly terminate officers. But in July a State Supreme Court Justice ruled that discipline must be handled according to the union's collective bargaining agreement. That provides for an arbitrator. The court also ruled that disciplinary hearings should not be held in public. ...This does not sound right to me....something fishy is going on. This guy is only allowed to have ONE bullet and he has to keep it in his shirt pocket..."